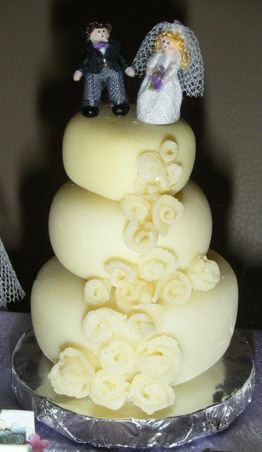 Su of the Dartford Dollshouse Club asked me to make a tiny Bride and Groom for the top of a 1/12th sized wedding cake. With the help of her friends at the club, Su made this beautiful little cake and placed it in a setting containing miniature items relating to the wedding, hobbies and interests of her son Liam and his bride to be, Lynne. The happy couple with the real cake. 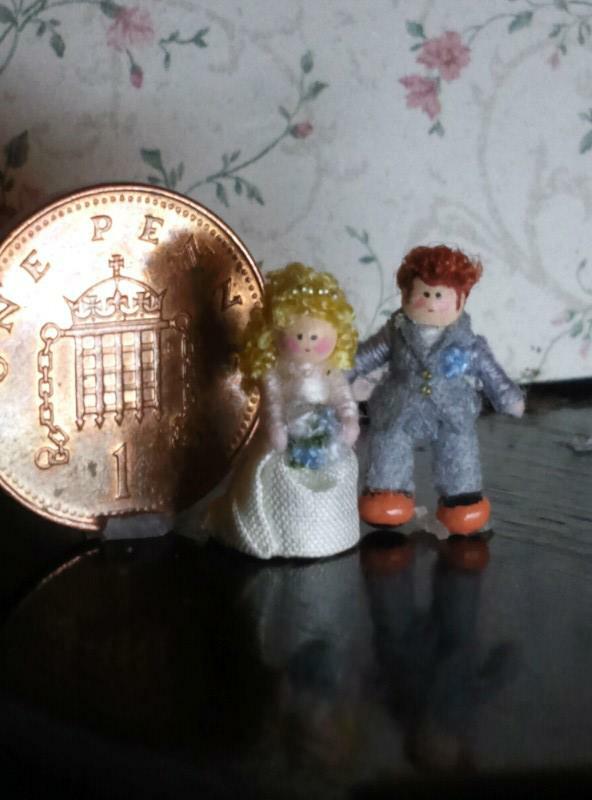 Angela Holloway of Woking asked me to make a tiny Bride and Groom as a Wedding Anniversary present for her daughter and son-in-law. 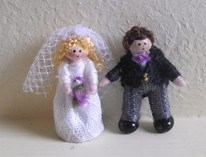 Angela sent me a photo of the bride and groom and I was able to personalise the figures. 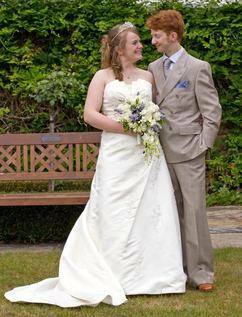 Gemma and Jeremy celebrated their first year of marriage on 7th May 2012. 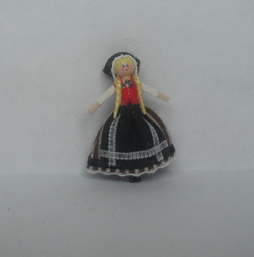 Gaynor Fryer asked me to make a wooden doll in a Norwegian costume for a miniaturist friend, Signe Alverstein, who lives in the Troms region of Norway. I made the above wooden doll which is approximately one inch tall. "You can imagine my surprise when I saw what Gaynor had sent me! The doll is beautiful, and I have never seen such a tiny one dressed in a 'bunad, the traditional Norwegian dress. There are so many different bunads, depending on the origin (which area of Norway), probably hundreds if I count all the variations. Receiving a doll wearing a Tromsbunad, exactly like my own, was quite unbelievable! 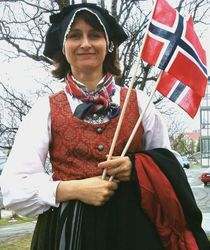 The bunad I own is made by my mom. It is a 'simple' dress compared to many of the others, no embroideries, because in this part of the country there were mostly hard working peasants and fishermen. No time for 'luxury' hobbies like embroidery. The vest is made of beautiful brocade, and the scarf is silk, the fabric was traditionally traded. The skirt is heavy wool. The silver is also made in a rougher style than many of the others. Just so you know a little background info on the bunad you made. Thank you so much for making this precious little doll for me! And yes, you can of course use the photo of me that I sent Gaynor." Vina, a very long-standing customer, asked me to make a Russian doll based on the doll in the picture to the right. The doll I made was approximately 1.25 inches tall and Vina has called her Ludmilla.